It’s National Junk Food Day! That means you’re allowed to pig out all you want. And to help you, we found the top 10 worst candies based on calories, sugar, and fat content. So go ahead, stuff your pie hole with all the junk you love most. Whoever said size matters was so very wrong. These itty bitty Reese’s Cups pack a ton of calories into their tiny candy forms. In one serving—which only constitutes as five tiny cups—you ingest half the amount of fat you’re supposed to consume in one day (for a woman)! Which ingredients do you have to thank for this calorie overload? Peanuts, palm kernel oil, cocoa butter, and about 15 other ingredients. Never underestimate a tiny candy again when it comes to calories! Hershey’s Take 5 candy bars may help you take a mental load off, but not any physical pounds. This candy bar is made of five layers of fat. Sorry, it’s true. These candy bars are made of chocolate, pretzels, peanut butter, caramel, and peanuts in addition to tons of oils, flavoring agents, preservatives, and high fructose corn syrup. Better enjoy one of these after a brisk walk or jog! Butterfingers seem harmless with their light, crunchy interior and chocolatey coating. However, they’re fatty and sugar-laden enough to make you put on a ton of weight. Eat This Not That says that eating one Butterfinger a day over the course of one year can cause you to gain 10 pounds! Better stick to the apple-a-day advice instead. Although tiny, M&Ms have a pretty big sugar content. Women and men are advised to eat no more than 25 and 27 grams of sugar per day (respectively). One serving of M&Ms has 18 grams of sugar—and that’s only in about 27 pieces! Candy is supposed to be a treat for a reason. Don’t worry so much about the bad on National Junk Food Day or when you eat in moderation. 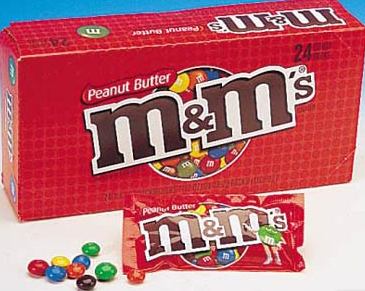 It’s not that Peanut Butter M&Ms have a ton of fat and sugar (oh, they do). It’s that these candies also come with over two dozen other unnatural ingredients. We’re sorry to rain on your parade if you love Peanut Butter M&Ms, but each bite includes fake coloring, palm oil, and lots of high fructose corn syrup. It just goes to show that the better it tastes, the worse it probably is for you. We shudder to think what a whole King size 100 Grand Bar has lurking in its nutrition facts. Maybe calories don’t count if you neglect to read the ingredients? Peanuts are a powerful food—they give you energy and lots of beneficial fats. However, Peanut M&Ms aren’t one of the healthiest candies out there. 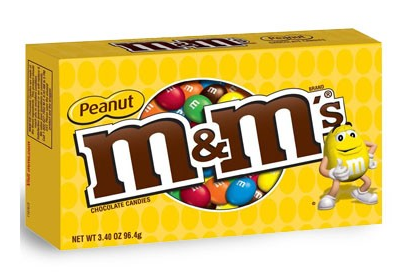 One regular sized package of Peanut M&Ms has 250 calories and an entire day’s worth of sugar (if you’re a woman). Plus, it has 117 calories just from fat—one third to half of the daily recommended amount for adults. 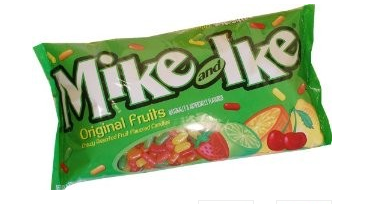 Aside from fake coloring, Mike & Ike is made with lots of sugar—almost enough to take up your entire daily recommended amount of sugar in one serving. Since one serving size is only 27 pieces and packs 26 grams of sugar, we hope you enjoy every fruity bite! If you love sugar highs and Starburst’s fruity chew, then this is the ultimate junk food candy for you! 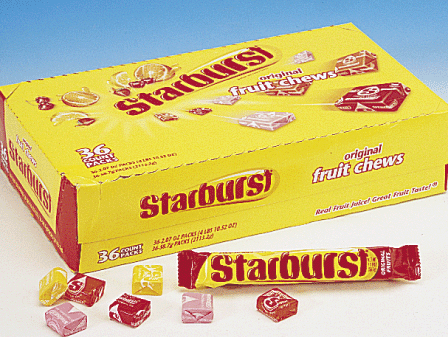 Starburst comes in number one on this top 10 worst candies list (based on calories, sugar, and fat content) for sugar. One serving size of Starburst has 33 grams of sugar! That’s more than women and men are supposed to have in one day by over six grams. 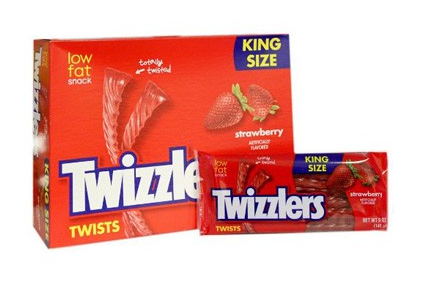 Even though Twizzlers are marketed as a low fat treat, they’re not getting by this junk food candy review Scott-free. Twizzlers may not have much fat, but they do contain artificial coloring and tons of sugar. Six Twizzlers will fast-track you to reaching half of your daily sugar allotment. Ouch. Maybe munch on one candy slowly so it doesn’t so as much damage to your waistline. National Junk Food Day is all about indulging in your favorite sinful treats. If you want to set the bar high, enjoy some of the candies on this list! Just try not to go overboard or you might get a candy hangover.